Why does a happy grandma suddenly act like some kind of one woman multi state secret agent assasination squad? March 26, 2018 Lois Riess Murder Spree Suspect David Riess, 54, was discovered dead in the couple's rural Blooming Prairie Minnesota home on March 26, 2018. Authorities ruled it homicide and was looking for his wifeLois Riess as a "person of interest". The Dodge County Sheriff's Office and the Bureau of Criminal Apprehension are leading the investigation; U.S. Marshals in Minnesota are aiding with the search for Lois Riess. March 28 she was charged with one count of felony theft in Dodge County District Court, and a warrant was issued for her arrest for taking $10,000 from her husband's business account, forging her husband's signature on three checks written from his personal account to herself, totaling $11,000. She traveled to Florida where she befriended and murdered Pamela Sellers Hutchinson leaving her dead in her condo, and was arrested on April 19, 2018 in Texas not far from the Mexican border. April 9, 2018 car driven by Lois Riess has been found abandoned in Florida. "U.S. Marshals Service shifted their search to Florida this week after Riess was named a person of interest in Fort Myers Beach murder Monday night" April 9 nbc2 At Marina Village Luxury Condos Hutchinson was found dead in a bathroom in a Ft. Myers Beach condo, deemed homicide. Reiss may have been using the name of victim Pamela Sellers Hutchinson No connection yet revealed why she picked the victim. Usually there is some connection. April 12, 2018 The Dodge County Sheriff's Office on Thursday evening released a statement saying 2nd degree murder charges are pending against Riess in Dodge County for her husband's murder. Alternative theory: fits pattern of domestic violence murder in Minnsota which is cover story for covert long distance terrorist killing spree in Florida. Resembles the July 15th, 1997 Assasination of Stylist Gianni Versace by Andrew Cunanan who murdered at least five people, including fashion designer Gianni Versace and Chicago tycoon Lee Miglin, during a three-month period in mid-1997 with no apparent motive other than male lovers and an obsession with all things luxury, and ended in a SWAT standoff in Florida . Also looks like case of June 1, 2016 Mainak Sarkar UCLA Shooting and Minnesota Murder who killed a professor and himself in a murder suicide in a engineering building at the campus of UCLA in Los Angeles California. after killing his wife adn driving from his home in Minnesota with 2 semiautomatic guns. 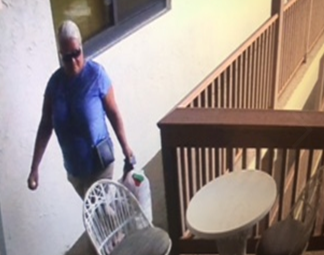 April 9 Authorities found Hutchinson’s body in the master bathroom of a condo she rented at Marina Village in Fort Myers Beach on April 9. According to the court documents, towel had been placed over her body and a pillow had been placed underneath. She had been shot in the chest. A towel had been stuffed under the door to create a seal. Lois Riess: 5 Fast Facts You Need to Know | Heavy.com https://heavy.com/news/2018/04/lois-riess-blooming-prairie-mn-minnesota-david/ Apr 14, 2018 - Lois Riess, a Minnesota woman whom police say is addicted to gambling, is accused of shooting her husband to death and, then, while on the run, killing a stranger in Fort Myers, Florida, in order to assume the woman's identity. Police say Riess killed the Florida woman simply because they looked alike. Fugitive grandma Lois Riess arrested after authorities receive tip in ... CBS News FORT MYERS, Fla. -- A tip-off led to the arrest in Texas of a woman who investigators believe killed her husband in Minnesota then fled to Florida, where she fatally shot her doppelganger with the intention of assuming her identity, the U.S. Marshals Service said Friday. Two federal deputy marshals arrested Lois Riess, 56, ... Minnesota court records show that Riess was suspended as guardian for her disabled 61-year-old sister after a report that she had been transferring funds from a guardianship account to her own account, then withdrawing funds at a casino. A 2015 affidavit said thousands of dollars had been spent at Diamond Jo Casino in northern Iowa, not far from Riess' Blooming Prairie home. Riess was never charged with a crime, but was ordered to pay her sister more than $100,000. 4/13/2018 Lois Riess named as a person of interest in Florida murder www.communitynewscorp.com NBC 2 also says that investigators believe Riess may be using the victim's name, Pamela Sellers Hutchinson, as an alias. The Dodge County Sheriff's Office on Thursday evening released a statement saying 2nd degree murder charges are pending against Riess in Dodge County for her husband's murder. Murder charges pending against Blooming Prairie woman, search ... www.postbulletin.com Riess may be using the identity of Pamela Sellers Hutchinson, but law enforcement agencies in Florida have not officially confirmed that Hutchinson was the murder victim. www.news-press.com last six days, the number of homicides in 2018 have almost doubled, climbing from six to 11 that have taken investigators to all corners of the county. Search for Lois Riess turns to Florida — unofficially www.southernminn.com 4/10/2018 BLOOMING PRAIRIE — U.S. 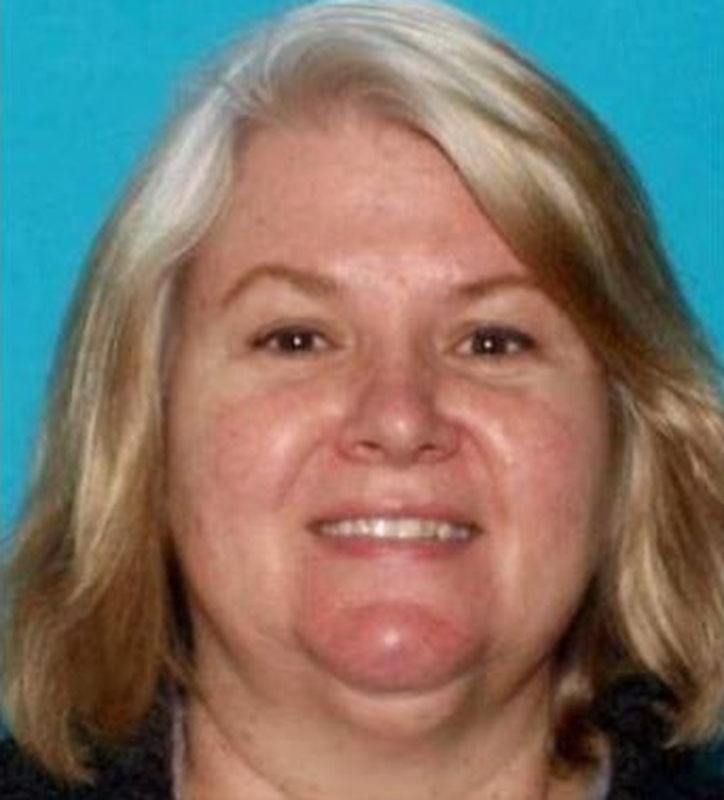 Marshals in Florida have joined the search for Lois Riess, the rural Blooming Prairie woman who is being sought as a “person of interest” in the. 4/12/2018 Florida officials join search for Riess | Crime & Courts | postbulletin.com David Riess, 54, was discovered dead in the couple's rural Blooming Prairie home on March 26. Authorities have ruled ... The Dodge County Sheriff's Office and the Bureau of Criminal Apprehension are leading the investigation; U.S. Marshals in Minnesota are aiding with the search for Lois Riess. Riess is ... U.S. Marshals in Florida say the have joined the search for his missing wife. The U.S. Marshals in Florida confirmed on Wednesday that they too are looking for 56-year-old Lois Riess in the Fort Myers area, after receiving a lead from Minnesota authorities earlier this week. BREAKING NEWS UPDATE: Suspect in murder charged with taking money www.bloomingprairieonline.com Mar 29, 2018 - The suspect in last week's murder outside of Blooming Prairie has been charged with stealing money from the victim after his death. Authorities have issued an arrest warrant for Lois AnnRiess, 56, of Blooming Prairie. She is accused of transferring and stealing money from her husband David's business ..